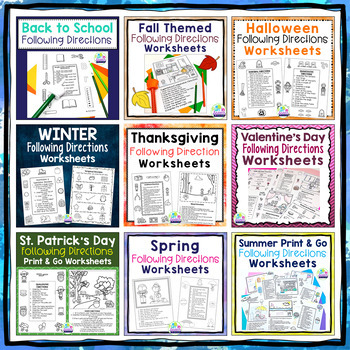 This Seasonal and Holiday Themed Following Directions Bundle Contains over 80 Worksheets and Covers Back to School, Fall, Halloween, Winter, Valentine's Day, St. Patrick's Day, Spring, and Summer! 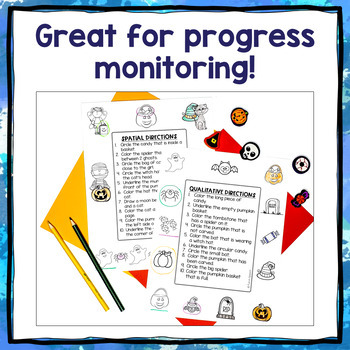 These worksheets will get you through the entire year! They are perfect for groups and individual sessions. 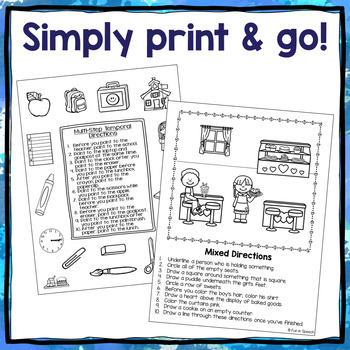 There are many different formats to help vary your instruction. 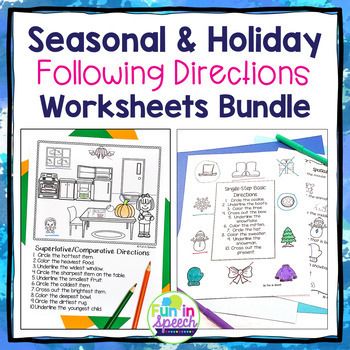 There are 10 or more worksheets for each season/holiday.